As a kid, we always had Oreo cookies stashed in our cupboards. They were such a fun snack to look forward to after a long, arduous day of monkeying around on the playground at recess. Of course, with Oreo cookies comes one problem: how you eat it. There wouldn’t be an age-old question if there wasn’t an issue, people. So, how do you eat an Oreo? Do you twist the cookies apart and eat one after the other? Scrape the frosting off with your teeth and then eat two nekkid cookies? Eat the entire thing whole? Dunk it in milk? There’s so many possibilities to eat it that you could probably eat an entire package of Oreos, eating each individual cookie a different way and you still would have other ways you could have eaten them. Personally, I pick apart everything I eat. Pizza is eaten toppings and cheese first, sauce scraped off, and then the bottom + crust. Sushi is eaten rice first, then the insides. Sandwiches and Poptarts are eaten crust first, then the sandwich. Most other sandwiches are eaten top bread first, then toppings, then bottom bread, or top bread first, then an open-faced sandwich. I know, I know, I’m crazy. So my Oreos? Cookies are separated, frosting is scraped off, then I eat the two nekkid cookies. It’s just how I roll, yo. When I was younger, Oreo was just that… Oreo. And then slowly, they began launching new flavors and varieties. Golden Oreos (my personal favorite), peanut butter Oreos, Heads or Tails, neapolitan! !, mint, and more. (Side note: Duuuude. How awesome would it be to work at the Oreo factory?!) And for research purposes, of course, I have tried them all. So when Oreo contacted me about trying some of their new flavors, I jumped at the chance. They sent me a pretty little box with two of their new flavors: Coconut Delight Fudge Cremes and Double Chocolate Fudge Cremes (best. mail day. ever). 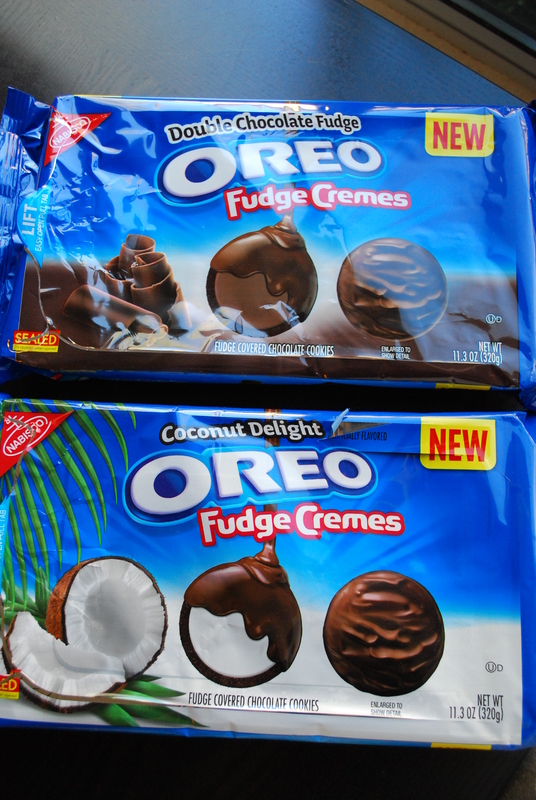 Fudge Cremes are Oreo’s new line of cookies. They’re just like Oreos, except instead of another cookie creating the classic “sandwich”, there’s a layer of rich chocolate fudge. I’d tried the original kind and the Birthday Cake flavor, but I was STOKED to try the Double Chocolate Fudge and the Coconut Delight. The coconut was crunchy yet creamy at the same time. I was scared the coconut flavor would be too subtle, but I was pleasantly surprised that it was creamy and strong, yet not too overpowering. I liked eating these cold from the freezer–so yummy! 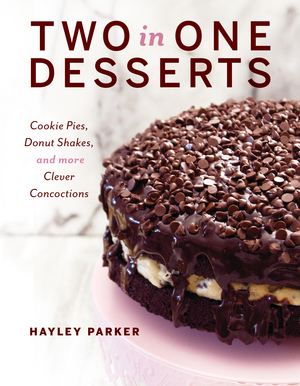 The double chocolate was really fudgy (uh, that’s definitely not a bad thing!) My brother loved these ones because they almost have a chocolate frosting-like consistency in the middle. 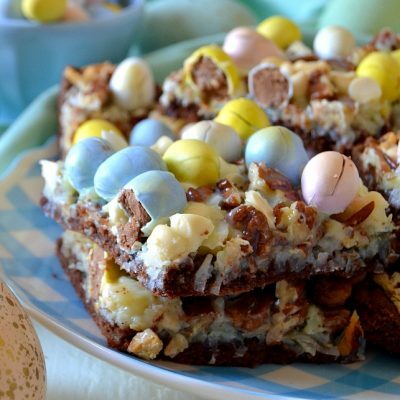 It’s rich and decadent–there’s no shortage of chocolate here! Overall, while I loved them both, I really loved the coconut one. 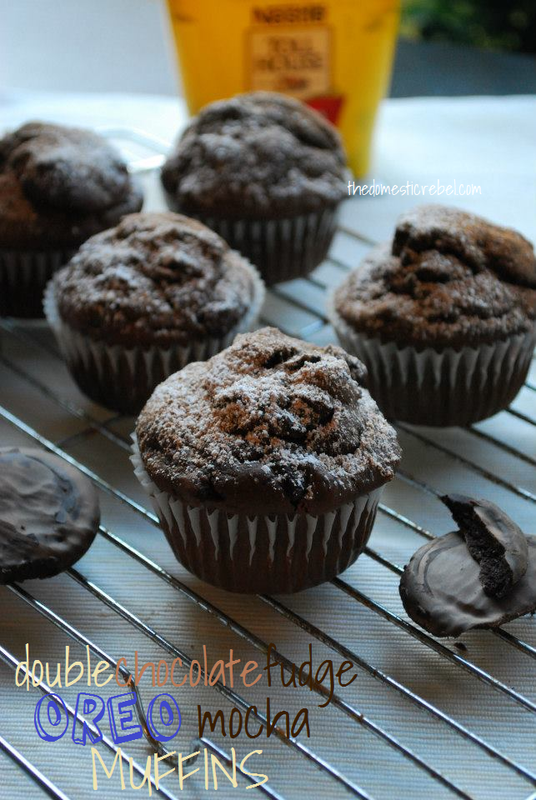 My brain was going crazy over recipes for each one and I immediately thought these Double Chocolate Fudge Cremes would be excellent in a muffin. 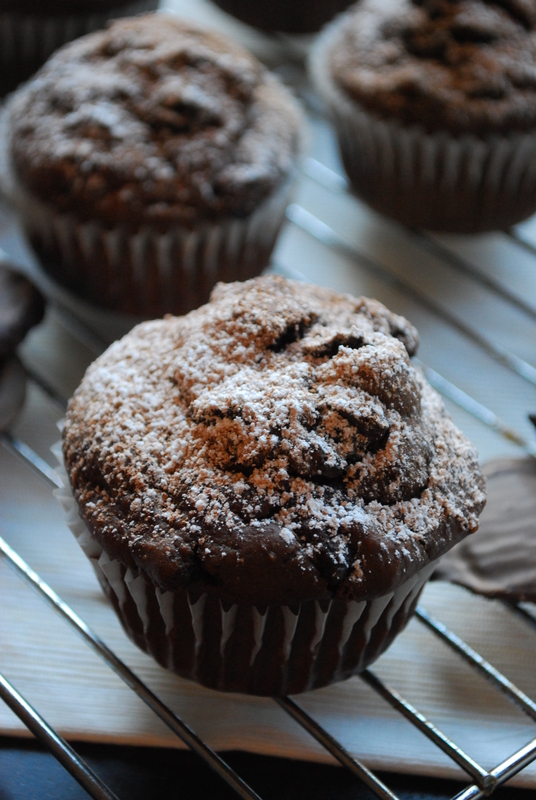 Everyone loves chocolate muffins, right? 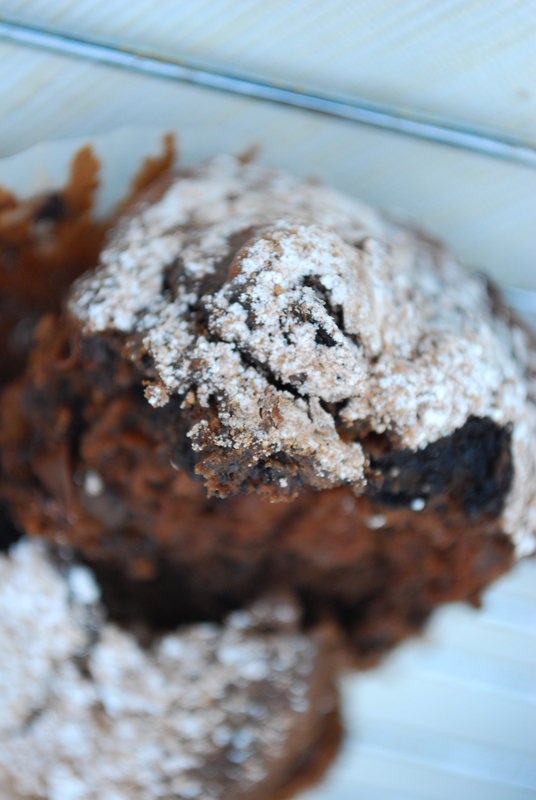 And when you stuff crushed Double Chocolate Fudge Cremes in a regular ol’ chocolate muffin, your result will be an uber-decadent, deliciously dense muffin that delivers a killer chocolate punch. To make them pop, I added some coffee and chocolate chips to the batch as well–the mocha really kicked it up another notch and the chocolate chips, while second to the scrumptious chunks of cookie, still added that additional creaminess into the muffin… like little chocolate pockets hiding beneath fluffy layers of chocolatey goodness. Giveaway closed! Thank you to everyone for their participation 🙂 the winners are Maureen and Lethea! Congrats to the lucky winners!! But you don’t need to take my word for it. 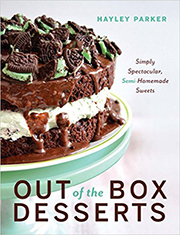 OREO is giving TWO readers a chance to win a box of goodies themselves!! To enter the giveaway, simply leave me a comment, answering this: What’s your favorite kind of OREO? How do you eat an OREO? Now, onto these muffins. They’re awesome, and I really hope you try them!! 1. Preheat oven to 400 degrees F. Line 2 muffin tins with about 16 paper liners. 2. In a large bowl, cream the butter and sugars until combined. Add the egg, sour cream and vanilla and beat to incorporate. 3. In a medium bowl, sift together the baking soda, baking powder, salt, cocoa and flour. 4. Working alternately, gradually add the flour mix, then stream in part of the coffee + milk, beating slowly, until all combined. Do not over-mix. Stir in the chocolate chips & cookie pieces by hand. 5. Portion the batter evenly among muffin tins, a heaping 2/3 to 3/4 cup full. Bake for approx. 17-19 minutes or until a toothpick inserted in the center comes out mostly clean. Cool completely. In a sifter, combine equal parts cocoa and powdered sugar; sift over cooled muffins. 6. Store leftovers airtight, at room temperature, up to 2 days. 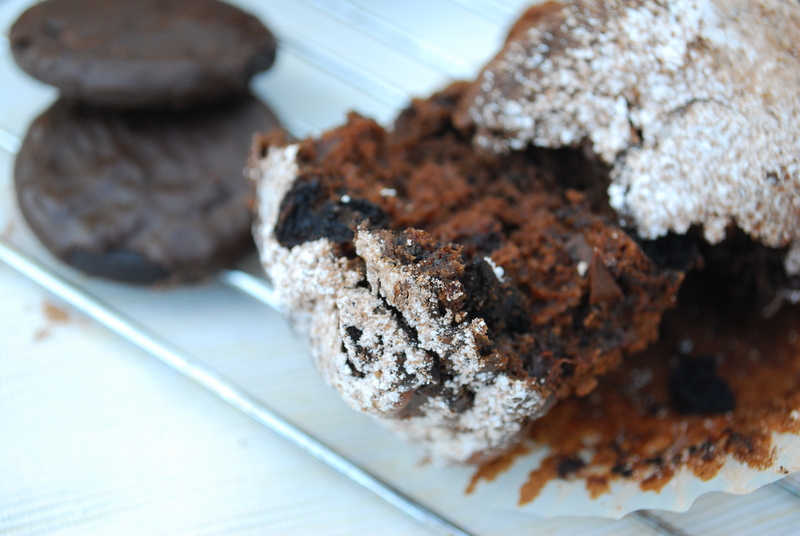 These muffins are the epitome of fudgy goodness! My family and coworkers adored them and I know you will, too!! Good luck with the giveaway! Enjoy your Monday!! In the interest of full disclosure, this giveaway and my product review is sponsored by Oreo, however all the opinions given are strictly my own. I love the Golden Chocolate Cream Oreos! They are Delicious! I like to twist them open and eat the side with no chocolate filling first, then eat the chocolate filling and last the other cookie! Hayley, you out did yourself this time! That is one sinful looking muffin! I so desperately need these with my coffee today! It would be MY best mail day if you could send some me! My favorite kind of oreo? ANY kind of oreo!!!! Milk dunking all the way! I refuse to eat Oreos without milk. They’re most definitely my favorite store cookie. And I’m totally addicted to the golden cakesters. DELICIOUS. YUM!!! I so want to try those coconut ones. So far my fave is double stuffed dunked in milk. I love how soft they get and it’s the only way to get me to finish a glass of milk. I’m pretty fond of the double stuffed ones – love the filling! Oh holy heck. I love these muffins! And I think you and I were separated at birth – I eat my food inside out too. Case in point: my burrito from Rudy’s last night. Inside first, then tortilla. Oreos, same way, cream, then cookie! I follow you on twitter. Obvi. I follow Oreo on Twitter. I like the mint oreos best! Crumbled on top of ice cream is my favorite. Cookies ‘n cream ice cream is good, but MINT cookies ‘n cream ice cream is EXCELLENT. And follow on Pinterest… yum yum! My favorite oreos are the orignals! I usually eat them with a glass of ice cold milk…but I don’t dunk! My favorite is double stuffed oreos and I like to dunk them in milk! I’ve always liked Double Stuff but I haven’t tried any of the new flavors. And I like to eat the cookie whole but I tear open the package as soon as I get them and then let them sit for a few days so the cookie part gets soft! I’m so into the idea of those coconut ones!! I can just taste them now 🙂 and I love my regular Oreos dipped in my coffee! They taste amazing this way! I love the double stuffed oreos! As to how I eat an Oreo, I tend to twist it apart and eat the half that has no filling on it. Then I eat the half with the filling last. I’m putting my coconut delight oreos in the freezer right now!!! I love a classic double stuffed oreo!! I like the double stuffed either the chocolate or the Golden. I try to eat the cookie part the first. Those muffins look so delicious!! My favorite Oreos are the Peanut Butter Creme Oreos. I usually eat the inside first then the cookie, but my favorite way to eat Oreos is to dunk them in milk. My favorite kind of Oreo is DOUBLE STUFF! Ohhhh yeah! I eat my oreos first splitting them apart, eating the non-cream side, then eating the side with the cream on it. Om nom nom nom…. awesome giveaway – my fave oreos are either the original, double stuffed, stuffed with choc or stuffed with mint! I can’t have chocolate, but I love the golden Oreos!! My favorite Oreos are definitely the Double Stuft. I love to just dunk them in a glass of milk until the cookie gets a little soggy. Yummo! I love the regular old oreo’s nothing added. I always separate them, lick off the icing and then eat the chocolate.. I follow via instagram as labellaluna64 M.j. I follow via twitter as @ciaomjc. But I couldn’t not read without leaving a post. Firstly, the muffins look amazing and so darn inviting. I love how you’ve roughly chopped them up so with each bite you find the secret goodness. Yum. Oh and in the UK, Oreo is just Oreo. We only have the standard ones and the double stuff ones are new here! Bet they’ve been out there for e-ons! I like the classic oreo, of course I love trying all the new kinds! I like the classic oreo best, of course I love trying all the new kinds! I don’t discriminate – I love all flavors of Oreos! I already follow Oreo on Twitter. Regular oreos, although I’m totally geeked about the coconut ones! And totally saturated in milk! I follow your fun Twitter feed. I just added Oreo to my Twitter too. I follow your day to day instagram pics. I will always be an Original Oreo fan! But I have to say the Golden Oreo’s are pretty good too! And of course you have to split it, scrape it, then dunk it!! I follow Oreo on Twitter! I want these for breakfast. Now!! Wishing I lived closer I’d so be at your place in a second to get my hands on some!! I can’t wait too make these!! My favorite is the peanut butter Oreo. And I eat them straight up as they are. I would have to say the Mint Oreos were my favorite. There’s nothing better than mint and chocolate! But I cannot WAIT to try the new coconut ones! And I just pull the Oreos apart…eat the side that has the least cream stuck to it, and then the one with the most cream. I will always, always love double stuf oreos. I like to twist off the top cookie and eat it, do the same with another, and have a double decker of creme filling. Yummo! I love all the Oreo’s but the peanut butter are my down fall! Double stuff oreos dipped in milk all the way!! 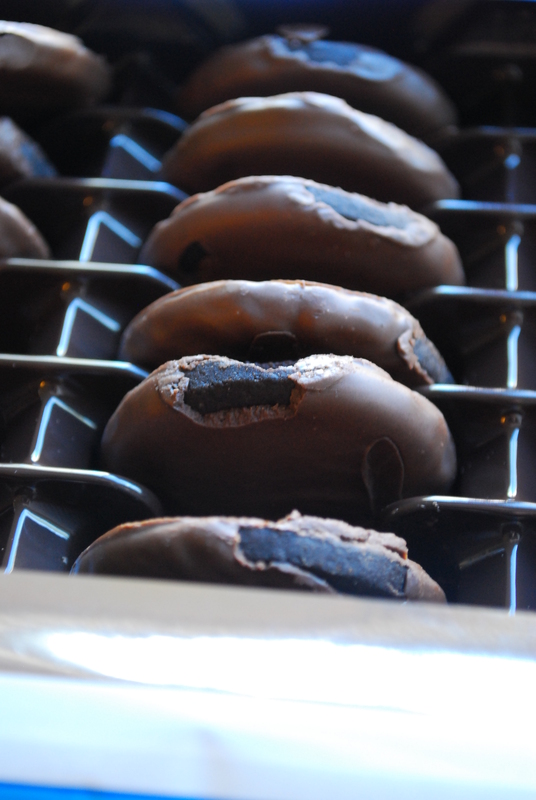 I’m a classic Oreo girl=) I twist them & eat the creamy center then much on the chocolate cookie goodness! My favorite Oreo is the double stuff! I twist them apart and then eat the stuffing first. I made ice cream cake this week with the cool mint Oreos, but I have to say that my favorites are still plain old Oreos. I dunk them in milk. I dunk about 2/3 of the cookie until it reaches the perfect softness. Yum. Now I wish I wasn’t out of Oreos. I tried the birthday cake ones and really enjoyed them but I think my favorite is just the plain old original dunked in milk. So good! I am a plain classic oreo girl here. Of course, double stuff counts. I am a classic girl myself. Regular Oreos are my fave, and I crush them up in a bowl and pour milk over them, like cereal! I love regular Oreos, I twist, eat the filling and then both plain cookies halves. It’s the best way! Those double chocolate fudge Oreos look delish!